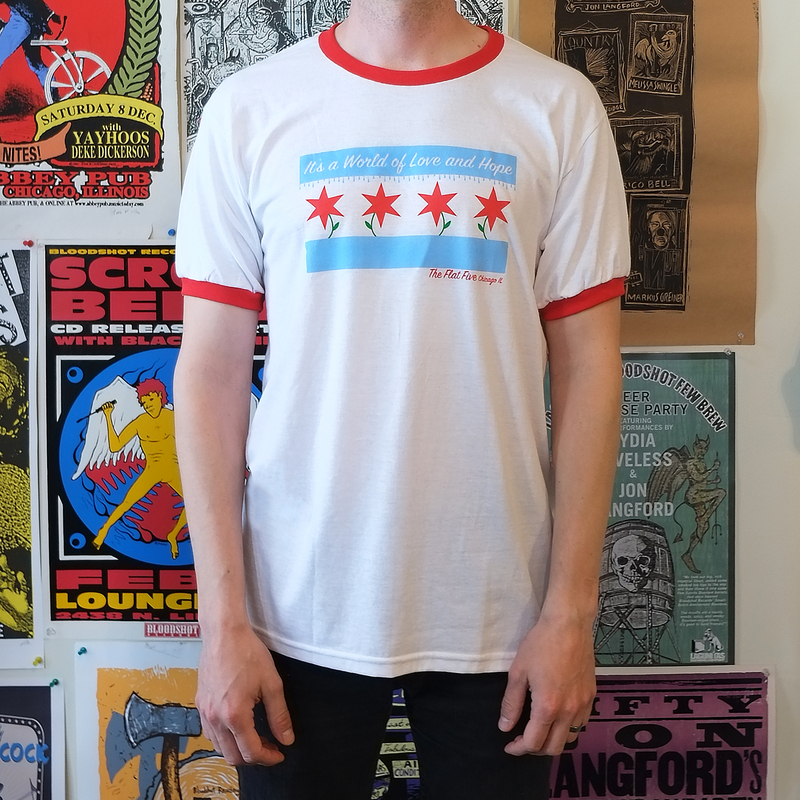 This Flat Five ringer tee will have you sun-kissed and summer-dazed, sporting the title of their debut record It's a World of Love and Hope, and the Chicago flag (yes, there is a Chicago flag, and yes, we are very proud of it). 50/50 cotton and polyester with licorice red ring bands. Featuring a Chi-town proud design executed by Sheila Sachs and Kelly Hogan herself.